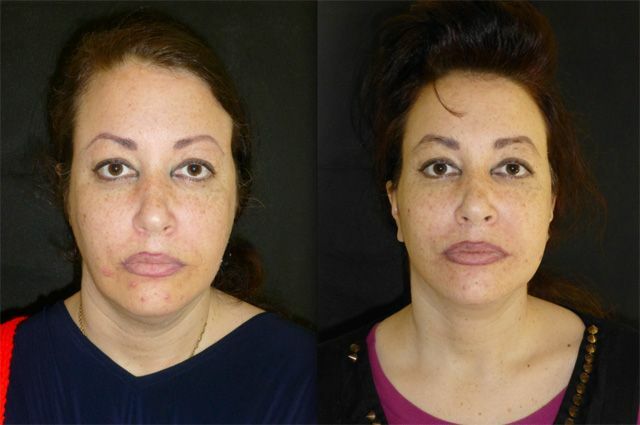 Leila is only 39 years old, but had all the features of premature facial ageing. 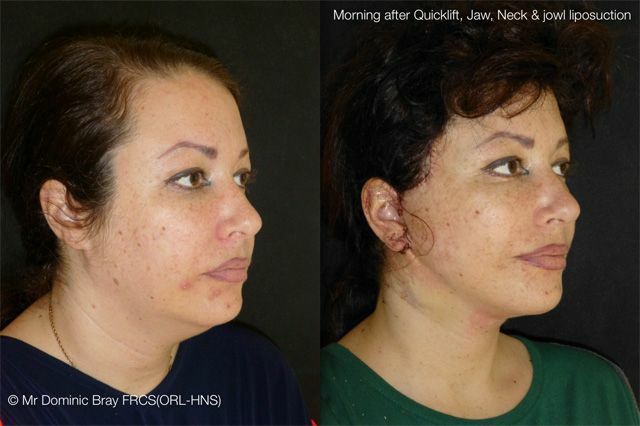 She had already spent a small fortune on minimally invasive procedures to try and regain her naturally beautiful facial structure - some marketing can be quite compelling! 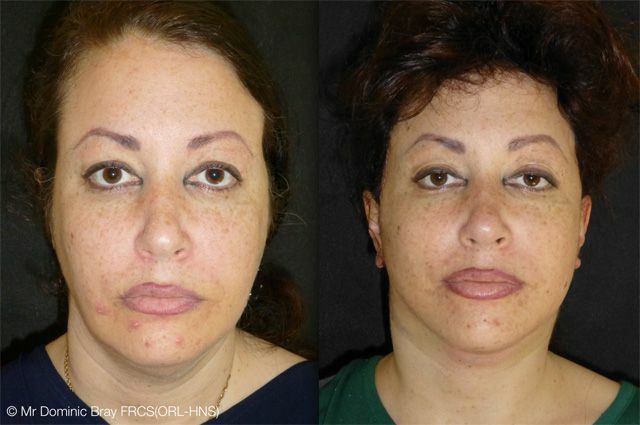 - but really what she needed was a facelift to reposition her facial volume to a more youthful position. 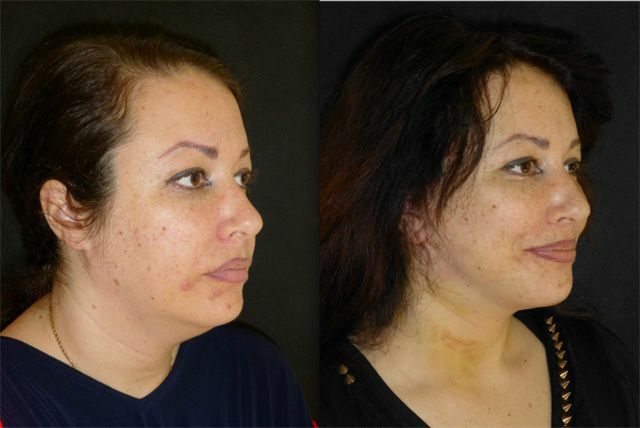 She underwent a facelift under local anaesthetic - here is her story. 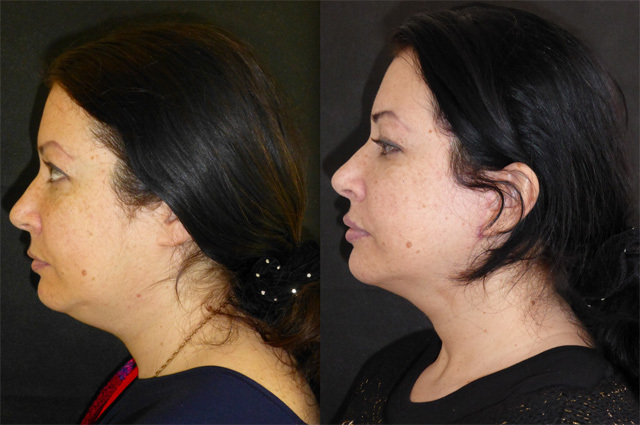 Leila had undergone neck liposuction and radio frequency tightening at another clinic prior to coming to see me. 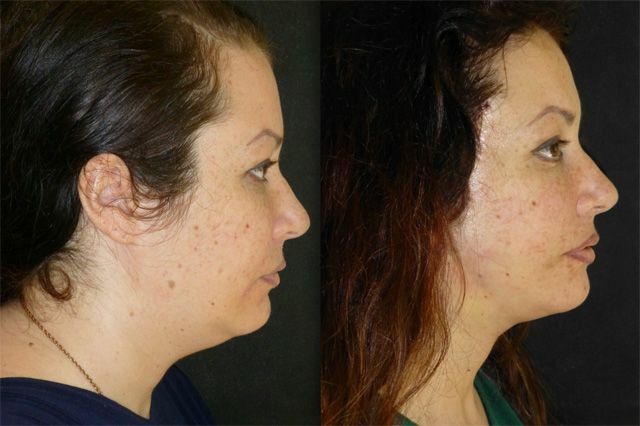 She had no neck and chin despite lovely facial bone structure. 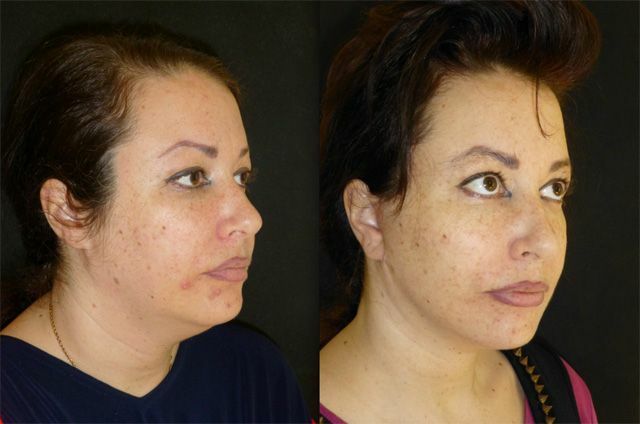 She is young for facelifting but another great example of treating the face and not the date of birth. 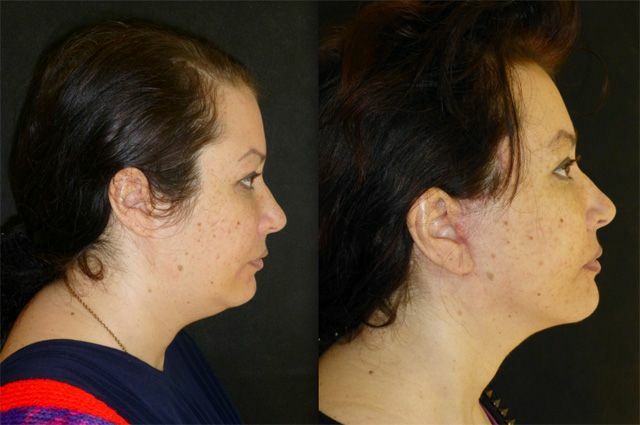 These are taken the morning after jaw, neck, jowl liposuction and facelift and necklift, which has uncovered a beautiful neck and jawline. She now looks her age (or younger!) again. A week on and WOW! a completely different young woman is back for review. The change in Leila’s persona is stunning. Confident, smiling, and feminine. It is hard to ask her to stop smiling during the photos! She looks beautiful, with a defined jawline and full cheekbones. Stitches are removed and the bruising is fading. She will be back for a review again at one month. 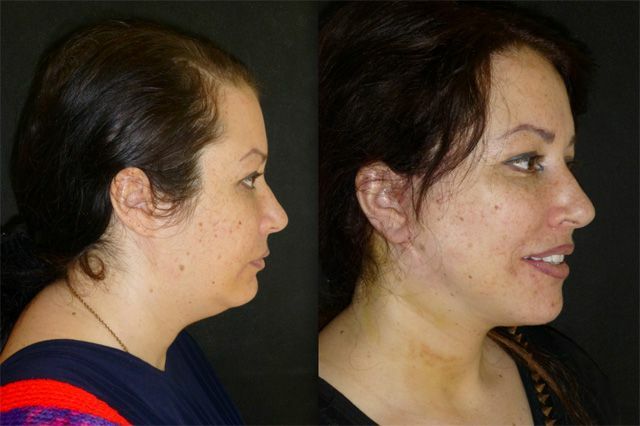 4 weeks after facelift and liposuction, Leila is back for review and still smiling! All swelling and bruising has now settled and her tissues have relaxed into their new position. 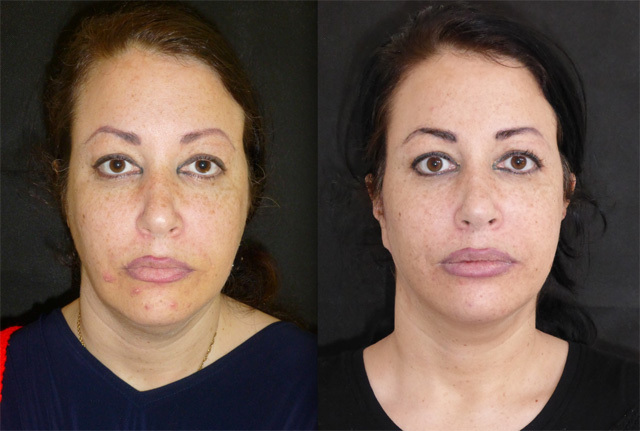 I truly believe that a facelift is the start of one’s investment in one’s face, and now Leila has achieved her ideal structure, she is starting on a prescription skincare programme to prepare her skin for a peel to leave her skin looking radiant, healthy and even. Watch this space! 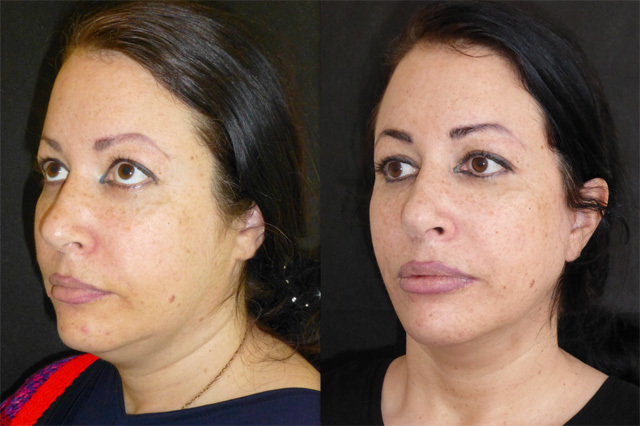 A common feature of facial beauty is the mid facial convexity formed by full cheek bones. 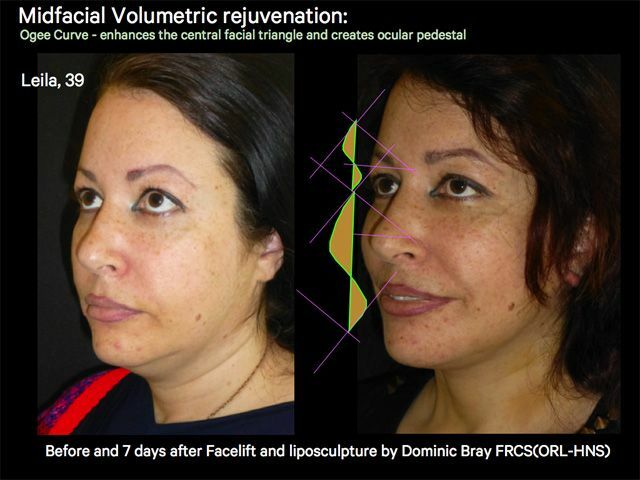 When we talk about cheek bones really we mean the soft tissue volume overlying them. As we age the natural double convexity called the Ogee curve flattens leading to a drawn looking profile. 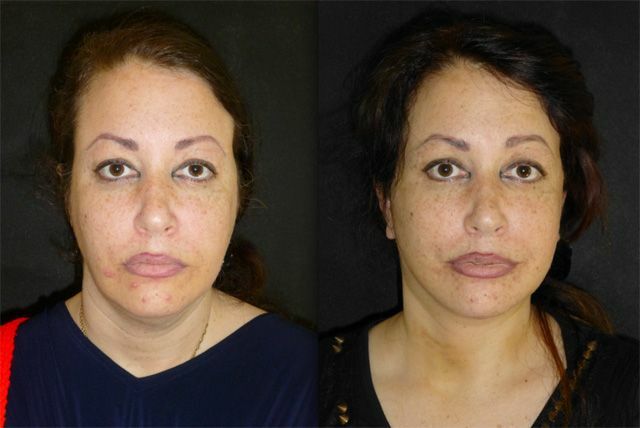 In Leila's case opposite, it is clear that only 7 days after a facelift her mid face is revolumised giving her face natural balance, definition and youth.